Peer-to-peer (P2P) lending is becoming increasingly popular in Vietnam with new players entering the market and regulators moving forward with creating a favorable environment. In September, a new company called Megalend Viet Nam Investment and Trading Corporation made its debut in Ho Chi Minh City with a chartered capital of VND 5 billion (US$214, 000). The company operates a a P2P lending platform targeted at small and medium-sized enterprises (SMEs), startup enterprises, especially those in high-tech agriculture and households. “Megalend Viet Nam targets to become one of the largest P2P lending platforms in Vietnam in the next three years,” said Lưu Tường Bách, deputy director of MIG Holdings and chairman of Megalend Viet Nam. 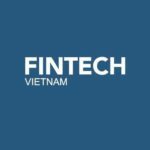 Megalend Viet Nam joins the growing list of P2P lending platforms in Vietnam which already counts the likes of Vaymuon, Mofin, Tima, and HuyDong, formerly known as LoanVi. Earlier this month, financial marketplace and P2P lending platform Tima raised US$3 million in a Series B funding round from Belt Road Capital Management (BRCM), a Greater Mekong-focused private equity fund. The latest investment is said to value the Vietnamese consumer finance platform at nearly US$20 million. The company, which was set up in 2015, raised an undisclosed Series A round in 2016 from Dunearn Singapore Fund and G Capital. Tima said the new funding will be used for its expansion and growth in Vietnam’s 63 cities and provinces, besides investing more in technologies and human resources. It claims it is already considering a Series C funding proposals from several big funds and investors. Tima recently partnered with VietinBank Insurance Corporation, the insurance arm of Vietinbank. When borrowers are unfortunately exposed to unexpected risks, VietinBank Insurance will help them pay off loans. The company has more than 23,000 lenders and 2 million borrowers on its platform. Earlier this year, the firm established its financial services unit Grab Financial to expand beyond its GrabPay payments platform into microlending and micro-insurance. To address the rise in P2P lending activity in Vietnam, the State Bank of Vietnam (SBV) has been studying and assessing the positive and negative sides, risks and other relevant issues of P2P lending. The regulator has also been researching international models of P2P lending to develop a legal framework to effectively manage the country’s nascent fintech businesses, according to SBV deputy governor Nguyễn Kim Anh. “Currently, the SBV’s functional departments are putting in a lot of effort to study the models of P2P lending in the world, the management experience and the operational supervision in other countries in order to formulate a legal framework which can bring out the positive aspects of this service product, while preventing and minimizing the risks and the negative effects and ensuring safety for individuals and enterprises, thereby enhancing financial inclusion in Vietnam,” Anh said. Speaking at a recent workshop on international experiences in P2P lending held in Hanoi, Eric Sigwick, the Asian Development Bank (ADB) country director in Vietnam, said that P2P lending experienced a period of fast growth and development starting in 2005. In Vietnam, P2P lending is already a billion-dollar industry, according to Vietnamnews. The global P2P market is estimated to surge by up to 53% per year to reach US$490 billion in 2020.